Their home, that one place where family should feel safe and secure, is broken into by unscrupulous thugs. Burglaries will always take place, there’s no doubt about that. But there are tangible steps you can take to make it that much more difficult for them. Here, we review 14 great tips you can integrate into your home – tips that come with a cumulative case for effective home protection and to prevent as many opportunities as possible for criminals to even consider going near your home. You can never be too careful. Making that extra effort can make a real and lasting difference. You can never add too many deterrents, either. You must make your home as undesirable for criminals as possible – not only to prevent burglaries from taking place but also to make it difficult for the criminal if they do decide to push ahead. Let’s review, then, some practical and pragmatic steps you can take to protect your home – starting first with outside protection. Explore the outside of your home and search for any vulnerable spots. If you were a burglar, where would you target and why? Keep this question in mind as you survey your home and you’ll come up with some great solutions. Keep temptations away from the eyes of burglars. If through simple viewing a burglar can identify expensive ornaments or jewellery, you know you’ve got a problem. You don’t need to redecorate your home, of course, but you should be sensible about what is on view and how viewable it is to others on the outside. Keep shrubs and greenery neat, short and tidy. If your shrubbery is messy, it may provide a convenient barrier for would-be burglars to hide behind. Don’t have a fence? Consider building one to add that extra layer of protection. Don’t keep expensive items outside. Whether it’s a barbecue grill or a car, try to keep things inside the garage and away from sight. Add motion sensor lighting to your home. Shining a spotlight on criminals as they tread toward your property is an affordable and effective means to draw criminals away from your home. Meet and greet your neighbors. By knowing your neighbors, they are likely to look out for any suspicious activity on your property as you are to do for them – a win-win situation. Keep things neat and tidy. It’s not just expensive items you need to keep indoors. If the outside of your home is peppered with ladders, equipment and toys, the mess only attracts burglars who believe you also left something valuable behind. Lock doors and windows at all times. Though this may seem obvious, you’d be surprised just how many people take these added risks. Update locks if necessary. Experienced burglars know how to identify a weak lock from a strong alternative. Moved into a new place? You can never be sure that old keys have been made and distributed to others. Always ask your landlord to have locks and keys remade when moving into a new place. Add a safe, or two. Bolted safes ensure that your valuables are pretty much permanently protected. They are a relatively inexpensive means to protect what matters most to you. Avoid labelling keys. Imagine your wallet gets stolen, or perhaps your address has been made available. With the keys labelled, you put your home at added risk. If you lose your keys, always keep a replica – even with a neighbor. Purchase a quality home security system. Quality pays off. The features that come with a home security system – such as lighting, sensors, alarms etc. – are highly sophisticated and are worth the added expense. If you truly hope to protect your home from burglaries, a home security system is a must-have piece of equipment. Reinforce windows with metal bars. Though this solution may seem extreme, it acts as a major deterrent to would-be burglars. Knowing in advance they have no means to easily penetrate your home adds an incredible security advantage for the homeowner. There are many tangible, practical and pragmatic steps you can take to protect your home from burglaries. Some are free, others cheap and some are expensive. The more layers of protection you add, the better. 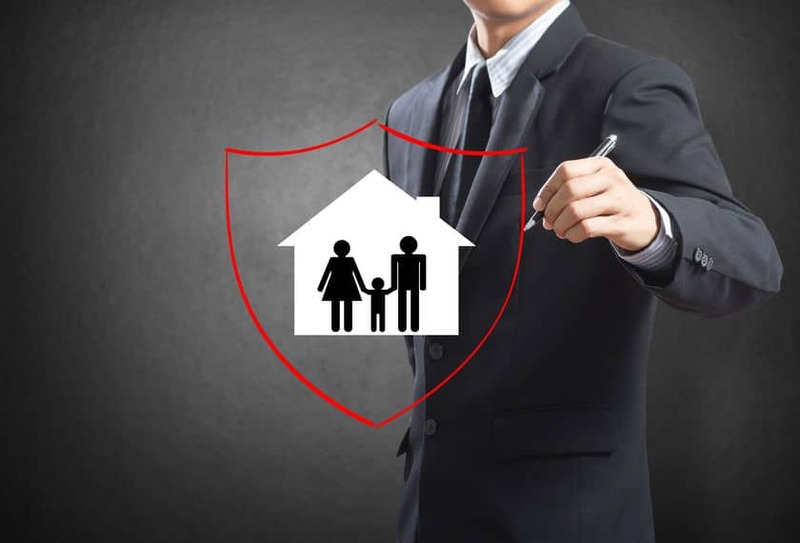 Taking these extra precautions makes all the difference between a safe, secure and protected home and one that is rife with vulnerabilities that criminals know how to exploit. Don’t take the risk. Protect your home and it’ll give you the peace of mind you need.